Order your floors, walls, trusses and beams now for your spring build! Complete garage framing package with wall panels & engineered roof trusses. Click Here to get your factory framed garage package! The first building in Prince George to be built to Passive House standards, construction of the Wood Innovation Research Lab is underway. The 40 one-of-a-kind wall panels are being erected in downtown Prince George. The prefabricated walls were engineered and manufactured by Winton. Winton supplied the floors, beams, walls & trusses for the four storey 93 unit hotel. The new Best Western Plus going up in Prince George, British Columbia. Here is one of the first pictures of the new ?Esdilagh (Alexandria) First Nation Health Facility building about 50 km south of Quesnel on West Fraser Rd. Along with the circular lodge entrance seen in the photo, the building will have a space for making and storing medicines, a spiritual space, a medical examination room, additional mental health space and a large gathering area. 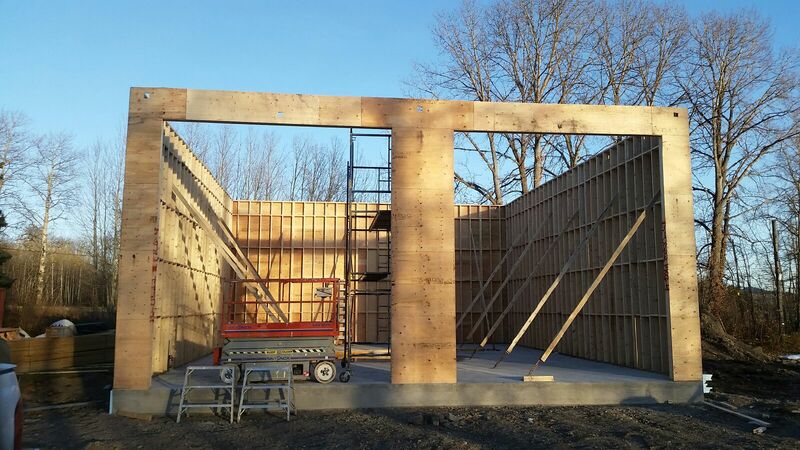 Winton supplied walls, trusses and beams. One of the many great things about prefabricated components is that they are built indoors. So over the winter months, when the temperatures are below freezing and snow covers everything, our products spend the least about of time possible outside. We build for delivery. 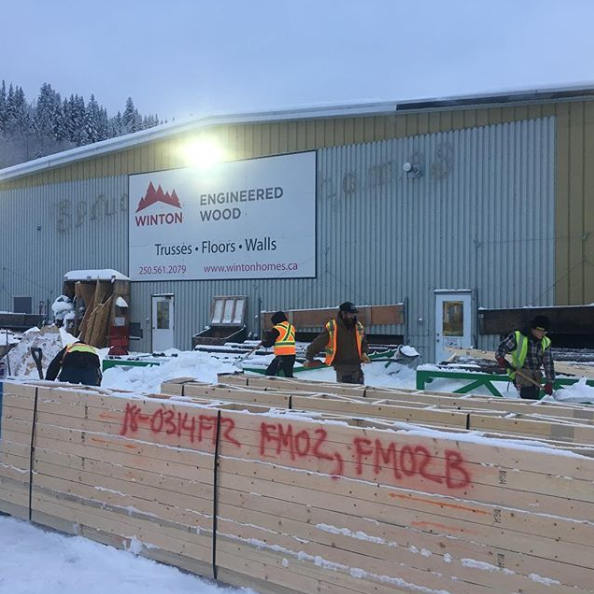 Winton Engineered Wood Product (EWP) division will be providing some of the materials needed for this northern development airport expansion project in the Terrace-Kitimat region. 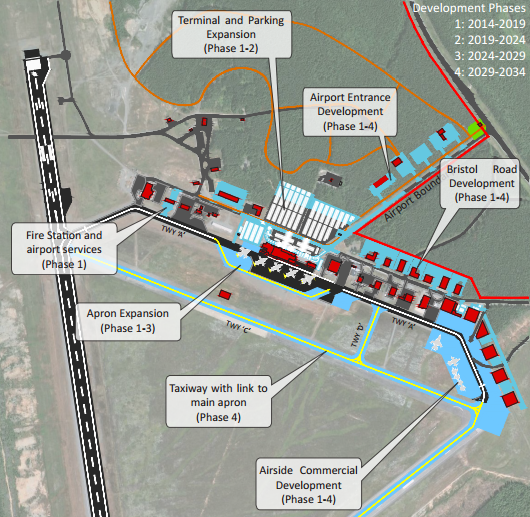 Phase one, of this 20 year multiphase expansion, will see the 15,000 square foot Air Terminal nearly double in size. 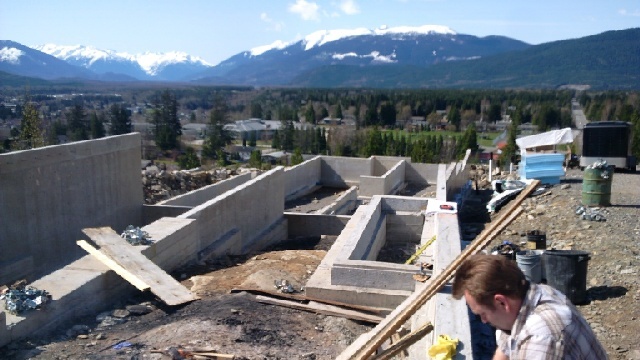 Wintons is quoting a job for our friends at First Choice Builders on a site in sunny Terrace BC. Located on the Terrace Mountain, you can't beat the view from the Sun Ridge Development. Our EWP division supplies structural building components all over the north. Winton once again achieves quality circle status from the Western Wood Truss Association, in recognition of Exeptional Quality Performance in Truss Manufacutring. Winton has achieved 97% average over 4 inspections.